The Fellowship for Intentional Community (FIC) recognizes Diana Christian as the 2018 recipient of the Kozeny Communitarian Award, honoring the indomitable spirit of Geoph Kozeny, who devoted his adult life to creating community in the world. Diana’s dance with community began as a young adult, when her experience living in shared households piqued her interest in intentional communities. In 1991 she co-founded the Growing Community newsletter—the first of many works focused on starting communities. Two years later she was chosen by the FIC to be the Editor of Communities magazine, where her job was to bring it back into regular production, focusing on the ideas and issues of community living. Over her 14-year tenure, Diana became known for her writing and editing about community living, for leading workshops on starting communities, and for networking during community visits and events. Diana published her first book, Creating a Life Together: Practical Tools to Grow Ecovillages and Intentional Communities, in 2003. It has become one of the most widely cited and recommended titles for people wanting to start a community. In support of her workshops and consultations Diana amassed a large body of print materials from Communities and other sources, which she actively draws from and shares—much as Geoph Kozeny did with slides for his renowned networking presentations. 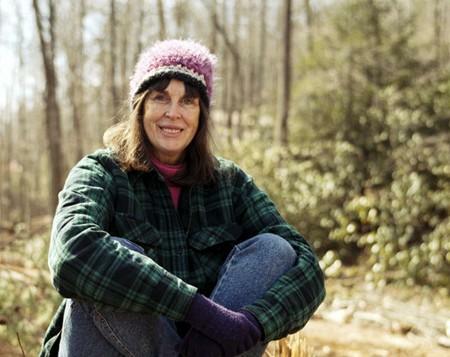 Diana’s strong commitment to community outreach was significantly reinforced by her joining Earthaven (Black Mountain NC) in 2002, where she has been active in that community’s development. As a well-established ecovillage, Earthaven’s mission includes being a model and inspiration to others aspiring to build or establish community with a strong ecological component—which commitment fit Diana like a glove. In 2007, Diana released her second book, Finding Community: How to Join an Ecovillage or Intentional Community. In this book Diana draws on her personal experience as well as those she interviewed. Finding Community has served a dual purpose: both as a core resource for people seeking a home in community, as well as for those already in community who want their home to be more inviting. Diana is a widely-traveled public speaker, workshop leader, and consultant. She specializes in ecovillages, community living and its challenges, and approaches to governance and decision-making (especially sociocracy). Her work is remarkable for its scope and depth. Her curious, yearning mind raises questions that often reveal subtleties and interesting ideas. Of particular value is Diana’s willingness to directly address the difficult questions involving the “business of community”—such as costs, legalities, and zoning. While less in the spotlight, these foundational issues must be addressed for communities to sustain themselves, and Diana’s work has helped many face these challenges successfully. As an active networker, she is in regular contact with intentional community organizers across the spectrum of those living and working in community. In addition to her deep connections with the FIC, she has actively engaged with regional, national, and international community networks, such as the Northwest Intentional Community Association, the Cohousing Association of the United States, and the Global Ecovillage Network. She regularly attends, presents, and participates in gatherings, meetings, and events focused on community living.